This week from Kirina’s table…. Cardamom and saffron….two of the most fragrant spices my big Gujarati/Persian nose has ever smelled. For those of you unfamiliar with these precious flavors, the black seeds in the picture are the cardamom seeds and the red threads are saffron, which are actually the stigmas inside of a special kind of crocus flower. 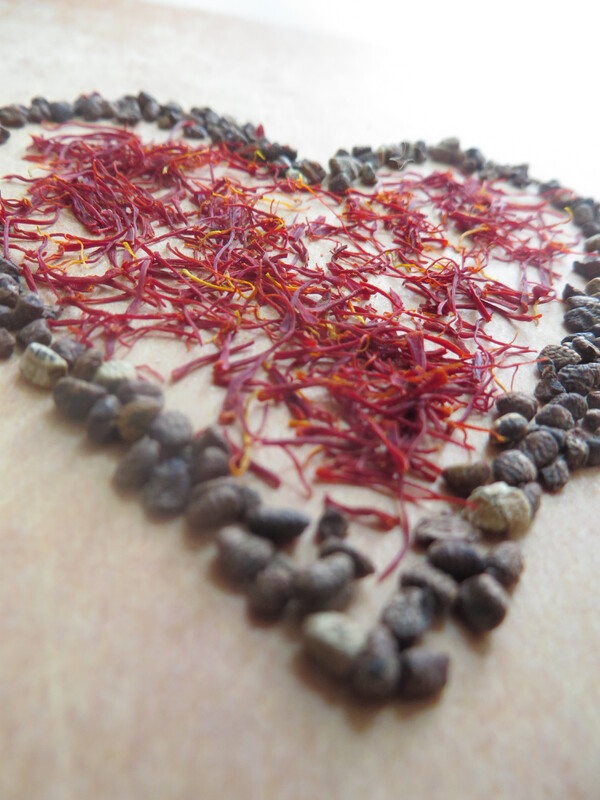 Saffron is used all over Asia and the Middle East to perfume and naturally color basmati rice (think rice biryani), meats and desserts. As for cardamom, there are several kinds, but the seeds pictured come from green cardamom, which are actual green pods that hold the black seeds. They are also used in various curry dishes, but are particularly tasty in desserts. See the Spice Cabinet section for more details on these two spices. My childhood go-to drink was always warm milk with cardamom powder, saffron and a pinch of sugar. This concoction was more “normal” for me than hot chocolate, or chocolate or strawberry milk. It was warm and comforting, the aroma was sweet and unique, and the little teacup my mom put it in made it all feel very special (though most things like this from a loving mom feel special, no matter the drink or teacup). Kirina has discovered Ovaltine and chocolate flavors for sure, but I wanted her to try my childhood love, which is exactly what we did on Sunday after coming in from the cold. Since she is familiar with these flavors anyway, and totally has a sweet tooth, I figured it wouldn’t be too hard to introduce her to this new creation. Even for little ones who have never tried these flavors, it’s usually a hit. The two spices are so gentle and mild, that they are used in numerous Indian, Asian and Middle-Eastern desserts (kids around the world, as we all know, enjoy their desserts). This is a great way to broaden and enliven your baby’s or toddler’s palate. The recipe is beyond simple: In a small pot, add one cup of milk, one pinch of ground cardamom (I keep the seeds in a small pepper mill and then have it handy to grind fresh when I need it), and one pinch of sugar (the sugar amount is up to you. I usually add a half teaspoon or so into my cup). Take 3-4 saffron threads, crush them between your fingers and add them in. Bring to a gentle boil, and as soon as it boils, remove from heat and give a good stir. The milk will have changed into a warm, yellow color and the fragrance of the cardamom and saffron will be obvious and pleasing. You can strain the milk if you want an ultra smooth drink, but I usually just pour it into a cup and sip away. The cardamom powder usually sinks to the bottom of the cup. You can vary all the ingredient amounts to your liking. 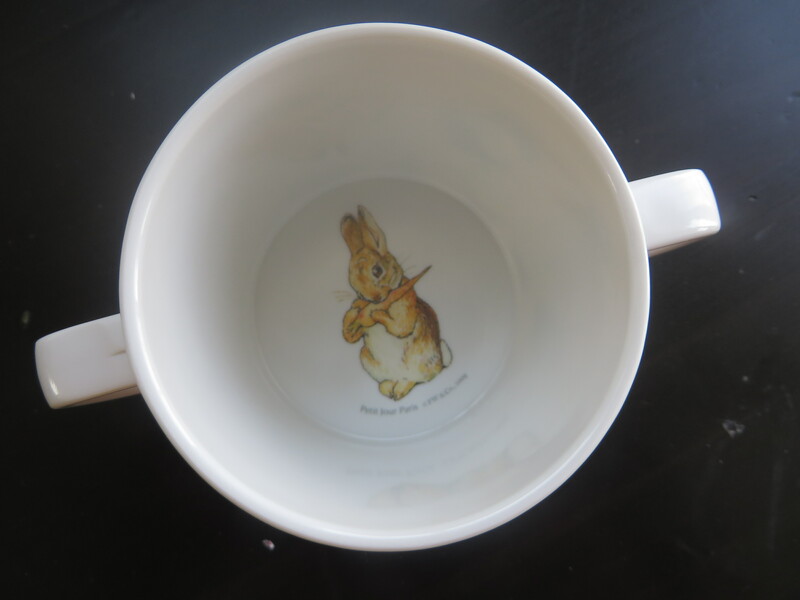 For Kirina, I poured about an ounce or so into her favorite Peter Rabbit cup (we bought this cute little cup in York, England, this past fall on vacation. There is a whole Peter Rabbit shop there! One of many reasons I love the UK. 🙂 ). Kirina’s verdict: She loved it!!!! So much so that she actually didn’t ask for Ovaltine for dinner (a regular request since I introduced her to the stuff a few weeks ago). I loved it too. I haven’t made the drink in years, probably because it can remind me so much of my mom (she passed away in 2005) and as she was my best friend, reminiscing can be bittersweet. But let’s always try and focus on the sweet in this instance. I learned it was not only great for Kirina to try something new, ethnic and unique, but I also realized I was passing along a piece of my mom to Kirina with this little drink. As I always say, your mom’s cooking feels like a big warm hug, something I miss dearly. 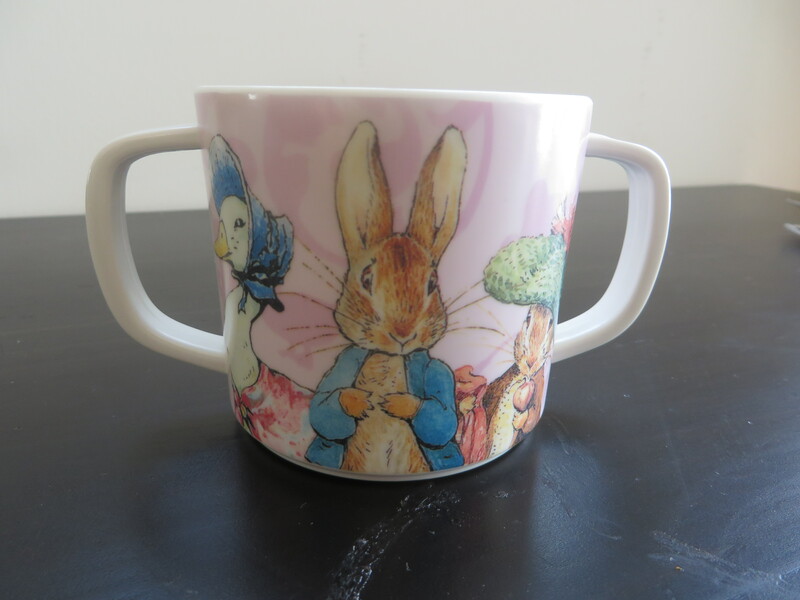 I am happy that Kirina’s grandmother is able to hug her though her warm milk and Peter Rabbit cup. From Kirina’s booster seat to your little one’s…bon appetit! « This week at Kirina’s Table…and some in utero musings from her baby sister.